When I took my new position as Youth Services Manager in May, one of my new roles was to take on storytime. I'll admit I was a bit nervous to do storytime, especially for toddlers. 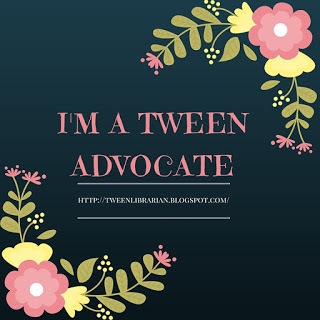 I was used to teens and I wasn't sure I could make the transition to working with very young kids. But once I got going, I found that I really enjoy stoyrtime. This week I decided to feature a couple of my storytime staples. 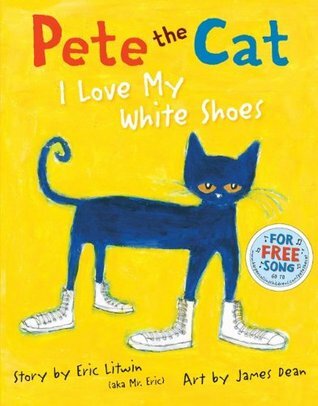 -Pete the Cat is a fantastic read aloud for storytime for all ages! Pete walks along singing his song but oh no! Pete has stepped in something that will change the color of his shoes! Toddlers might not be able to catch the color changes as well as older readers, but the book has lots of repitition and has a catchy song that's fun to sing along to. It's a great storytime read and I have fun every time I read it. The kids at my preschool outreach ask for this book every time I come! I love that it has simple text that's easy to catch on to what's being repeated and it's fun to see parents and kids jam to Pete's song. First off, thanks to my friend Katie, who suggested I use this book as a storytime read! I end all of my storytimes with a reading of From Head to Toe and then we sing Skinamarink. I love using this as a closing book for several reasons. It's interactive, so the kids don't have to worry about coming back after crafts or activities and sitting still-it encourages them to act out the book! It's great for all ages and is perfect for parent interaction. If the kids can't do the motions, the parents can help them-plus it's fun to watch the parents encourage their kids to act like the various animals. The actions are simple enough for the younger ones to do, but the older kids can show off their skills by doing big donkey kicks! I also like that it has simple text, bright illustrations, and is tons of fun! I teach Kindergarten and my kids love Pete the Cat! 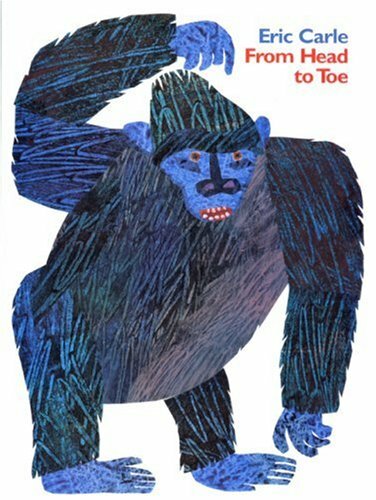 I love Eric Carle but have never read From Head to Toe. I will have to get a hold of that one! If you need more toddler suggestions, I have a booklist a co-worker and I created for a three-year toddler time rotation (theme-based). Happy to forward if you like. We haven't made it to our local toddler time recently. I'll have to put Pete the Cat and Head to Toe on my library check out list. Great choices! You can't go wrong with Eric Carle, pretty much ever.